New Orleans is famous for its culture, food, and architecture. One of the most important southern port cities, New Orleans has historically been a melting pot of French, African, Carribean, and Spanish culture. This unique blend gave birth to a number of Creole dishes, including both Gumbo and Jambalaya. Here’s a quick rundown of everything you need to know when comparing gumbo versus jambalaya. If you’re ever in a hurry and need to quickly get the right entree to the right place, remember one simple rule. Gumbo is a thickened stew that’s served with separately cooked rice, while Jambalaya is a stew that’s cooked with rice in it. Even if the meats, spices, and vegetables used in both dishes are the same, you can tell the difference because of how the rice is prepared. Gumbo has been around for a long time. According to modern experts, it probably was invented in South Louisiana in the 1700’s. Gumbo involves a tasty broth that’s been thickened with either okra, ground sassafras leaves, or a dark roux. 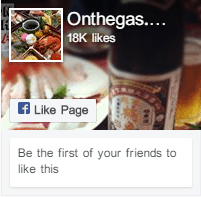 It prominently features a mix of celery, onions, and bell peppers as well as flavorful meat and shellfish. One of the signature elements of gumbo is its long cooking time. In order to help the stew thicken and let all of the flavors blend together, cooks simmer gumbo for at least three hours. Some of the ingredients, including more delicate seafood items, aren’t added until the cook time is almost over. Jambalaya is a stew that’s made by first cooking meat and vegetables in a pan. These vegetables almost always include celery, onions, and peppers, while the meat is usually chicken, sausage, or both. Both stock and rice are added to this mixture, which is then simmered for up to an hour. Jambalaya tends to be stirred very infrequently while it’s cooking. In fact, when many cooks define jambalaya, they’ll explicitly mention that it’s seldom stirred. When compared to gumbo, there are a few major differences. First, gumbo is thickened by okra, sassafras, or flour. 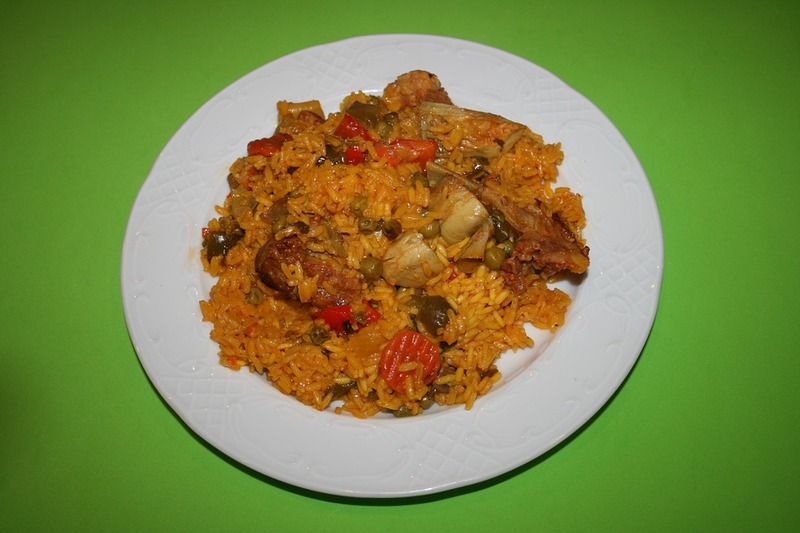 Jambalaya is thickened by the addition of rice alone. Second, while gumbo is frequently served over or with rice, the rice is cooked separately. This means that the flavor and texture of the rice in Jambalaya is quite different. Finally, gumbo has a much longer cook time, meaning that the flavors are more evenly distributed between all of the elements in the stew. You’ll get mushier sausage and vegetables that all taste quite similar. With jambalaya, the lower cook time helps vary the taste of each bite of the dish. Both of these dishes have been adapted by many chefs, including Alton Brown. Jambalaya is an especially easy dish to make if you want something that’s flavorful, filling, and healthy. While the actual cook time is pretty long, the fact that you don’t have to stir means it’s not very time consuming to make. Etouffee is another similar dish. 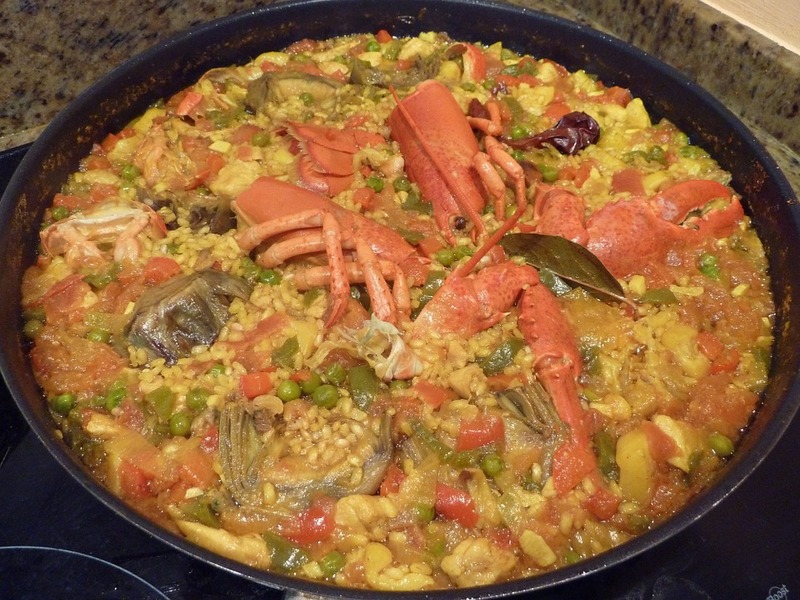 It’s made of a single type of seafood (like crawfish or shrimp) that’s cooked in a roux with a blend of spices and vegetables. It’s just as important to New Orleans cuisine as gumbo or jambalaya. The differences between gumbo and etouffee include the amount of liquid and type of meat. Gumbo is a stew, meaning there’s plenty of thickened broth in the dish. Etouffee is a meat and vegetable dish that’s covered with a thick sauce. This means you won’t typically have enough liquid for dipping your breadsticks. The other difference involves the types of meat used. 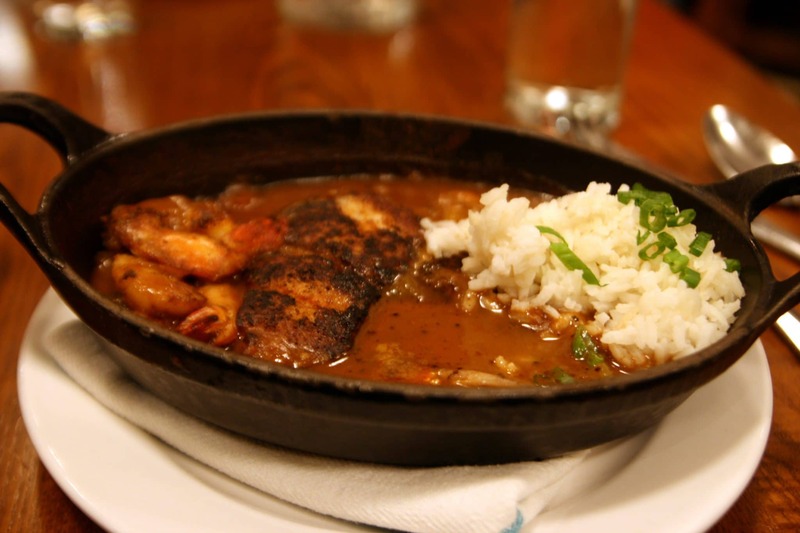 Gumbo often has a mixture of poultry, sausage, and shellfish, while etouffee usually has a single type of shellfish and no other meats. This makes it the superior dish to make if you just want to get a bunch of crawfish out of your fridge. If you’ve got a mix of meats, however, gumbo is the better option. If you’re having trouble comparing various cajun and creole stews, here are the key differences to look out for. If the dish has lots of slightly-thick liquid, it’s probably gumbo. Gumbo is a thickened stew that has lots of flavorful stock added at the beginning of the cooking process. It’s definitely the most “soup-y” of the three. If the dish has lots of rice and a little bit of liquid, it might be jambalaya. Check the texture and flavor of the rice. If it’s a bit mushy and tastes like it was cooked along with everything else, that’s a good sign that what you’re eating is jambalaya. Jambalaya starts with plenty of liquid, but most of it gets absorbed by the rice that’s cooked alongside all of the other elements. 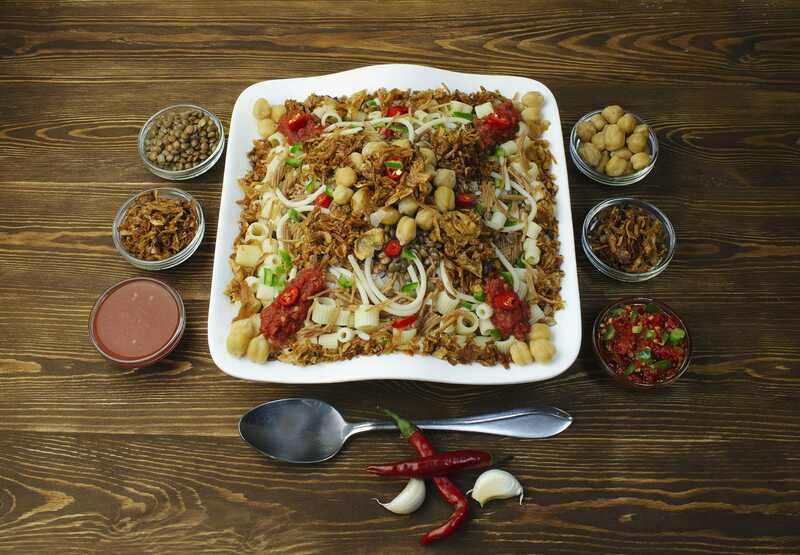 If the liquid resembles a sauce that’s poured over everything else, you’ve definitely got etoufee. Etouffee is cooked in a roux with lots of liquid-producing vegetables in order to create a delicious sauce. It’s the furthest of these three dishes from a soup. Both gumbo and jambalaya are made with a blend of various meats, including chicken, sausage, and shellfish. You can’t use the type of meat to tell between these two dishes. Etouffee, on the other hand, usually is made with only one type of shellfish. This makes it easy to identify. If there’s chicken or sausage, you’re probably not looking at etouffee. Unfortunately, both gumbo, jambalaya, and etouffee are made with a blend of similar vegetables. All three make use of celery, onions, and peppers. All three might also make use of tomatoes and either creole or cajun spices. The Best Dish To Make? Gumbo is simmered for at least three hours, meaning you’ll have to start it in the afternoon if you want your gumbo to be ready for dinner. This simmering comes after a fairly involved process of sauteeing various ingredients and carefully thickening your stock with either okra, sassafras, or a dark roux. It’s definitely not a fast dish to make. While jambalaya isn’t fast to make, it’s a lot quicker than gumbo. Not only does it take roughly an hour of total cook time (instead of the 3+ hours for gumbo), you’re actually not supposed to stir it while it cooks. This means it’s a lot easier for most people. Gumbo is very much a stew. While it’s somewhat thick, you’ll have trouble serving it over rice on a plate. If you want to use bowls or give your guests something to dip things in, gumbo is the better option. Jambalaya tends to have a final consistency that’s somewhat dry. Most of the liquid in the dish is soaked up by the rice as it cooks. This means that you can easily serve jambalaya on a plate. Both jambalaya and gumbo are incredibly flavorful dishes that showcase the unique culture of New Orleans. These similar stews are delicious due to the way they blend various flavors together over their long cook times. 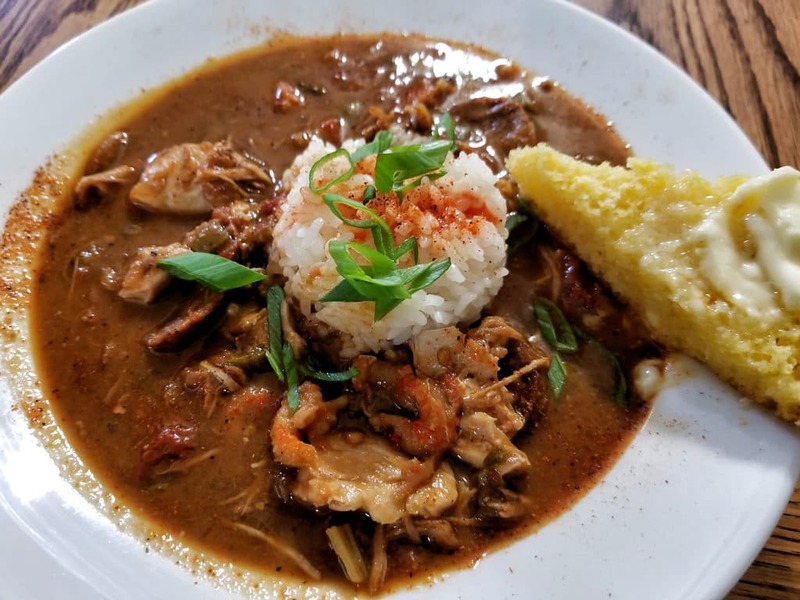 Be sure not to confuse either of these dishes with other New Orleans favorites like etouffee, which is a seafood-based dish with a similar blend of vegetables, or red beans and rice.